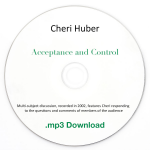 This CD contains a recording of Cheri Huber reading her book, What You Practice Is What You Have. It is a sequel to Cheri’s widely read There is Nothing Wrong with You: Going Beyond Self-Hate, published in 1993. Over the years, many “There is Nothing Wrong with You” retreats have been filled by those inspired by the book to look more deeply into how we can free ourselves from the ravages of conditioning and self-hate. This CD also includes recordings of the guided imageries and meditations in the book. What You Practice Is What You Have further exposes the antics of conditioning and self-hate. 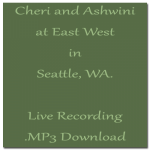 Awareness practice tools including recording and listening exercises for self-mentoring, developed over many years by Cheri and the monks at the Zen Monastery Peace Center, are included.